We have heard a lot about trans fats in the news. Our government wants to outlaw them in processed foods, but is still giving manufacturers a way to include them without telling us. Just what are trans fats? The easiest explanation is that they are fats that have been modified to be solid at room temperature when they are normally liquid at room temperature. Usually these fats are vegetable fats. Sounds good, but are they really? Dr. Fred Kummerow—now nearly 100 years old— realized the hazards of trans fats in the 1950’s, and was the first researcher to publish a paper on it in 1957. He discovered that it's not cholesterol that causes heart disease, rather the trans fats are to blame. So trans fats (and even just vegetable oils) are linked to heart disease, but it doesn’t stop there. It is also linked to memory impairment. Trans fats were most strongly linked to worse memory, in young and middle-aged men, during their working and career-building years," said lead author Beatrice A. Golomb, MD, PhD. "From a health standpoint, trans fat consumption has been linked to higher body weight, more aggression and heart disease. In addition they are linked to lung disease, including cancer, for those that breath the vapors of these oils when they are used for frying. 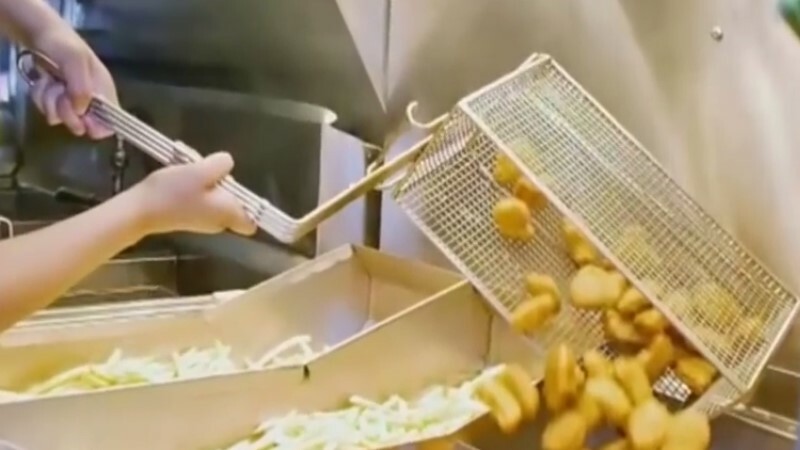 It has even been suggested that restaurant uniforms of those doing the frying have a tendency to spontaneous combustion when left in warm places like trucks or automatic dryers. Vegetable oils increase oxidative stress in the body. This can lead to cellular damage, damage to the lining of the vascular system, increases in the susceptibility of LDL lipoproteins to oxidation, a crucial step in the development of heart disease. They also change forms when heated, creating some well-known cancer causing agents. Some studies have even linked these oils to an increase in violent behavior. With all this going for us many of us think the answer is to never consume fat of any type. That should be able to protect us from multiple health issues, right? Wrong! Studies show that our bodies need fat, just not the ones that have been promoted as healthy since the 1950’s. Saturated fats are already solid at room temperature. They do not need to be heated or changed chemically to achieve this effect. Studies show that these fats do not cause heart disease, or even make it worse if you already have it. They also show that these fats help your body to absorb and utilize certain vitamins in your foods. They are the building blocks that our bodies use to make some of the hormones we need to survive. Your brain uses fat to make cell membranes and the protective myelin sheath that insulates your neurons. Saturated fat is essential to the proper functioning of the brain, bones, blood and energy levels of human beings. New studies are looking at diet to treat different health problems. One such problem is seizure disorders. There is strong evidence that a low carb, high fat diet has a beneficial influence on seizure such as those caused by epilepsy. This makes sense when you remember that the body uses fats to build and repair brain tissue. Cancer is another disorder that this type of diet seems to have a positive effect on. The fats used in these studies include saturated fats and those from plants such as avocados and nuts. They did not include vegetable oils. These studies show that grains and sugars are a bigger problem to health than saturated fats. A low carb, high fat diet has also been linked to slowing and reversing aging. This includes the brain as well as the body and skin. Here again, the type of fat seems to be the key. Saturated fats such as coconut oil and fatty vegetables like avocados have a positive influence where vegetables oils have a negative influence. We are finding out that what we eat has a much greater influence on how we feel and look than we thought. A long shelf life is proving to shorten the life span of people, while a short shelf life seems to lengthen it. Being too busy to eat freshly prepared foods means you will have less time on earth to enjoy those foods. It can also mean that the years you do have will be less productive and much more painful.